TaxiSigns HD adds great looking taxiway signs to Microsoft Flight Simulator X, Flight Simulator 9 and Prepar3D. It replaces default taxiway signs with detailed 3D models, offers several high resolution taxiway sign textures and adds stunning night lighting effects. There is no need for a complicated setup or a long conversion of your airports. After you install TaxiSigns HD and launch Flight Simulator, all taxiway signs will be immediately replaced with new ones. You can choose among several 3D models and textures in options - and these changes become effective immediately. 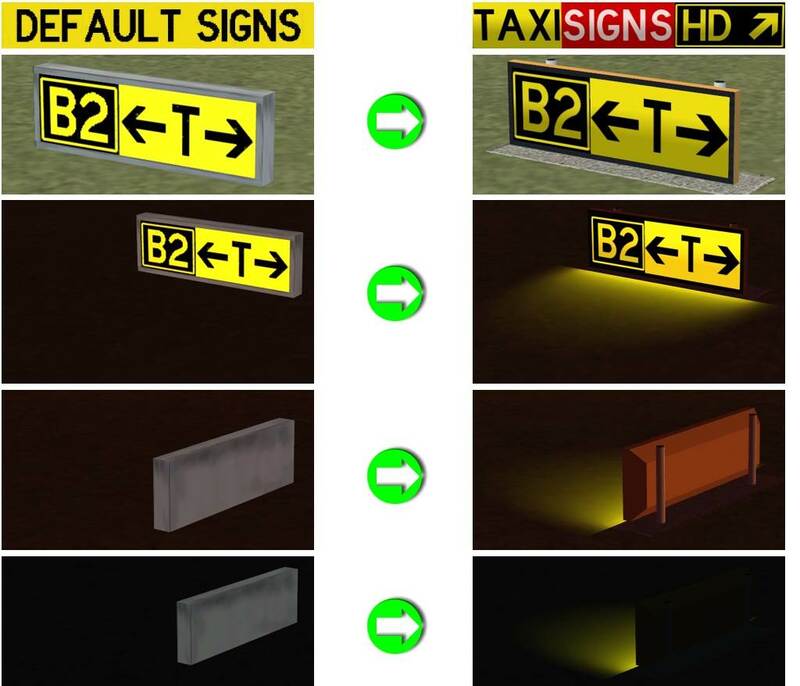 Enjoy amazingly realistic taxiway signs both during day and night! During the day, you will see realistic looking, properly shaded 3D signs. At night, our taxiway signs illuminate the ground in front of them - just like in the real life. And all these improvements come without reducing your frame rate! You can choose one of the supplied high resolution textures for the text. 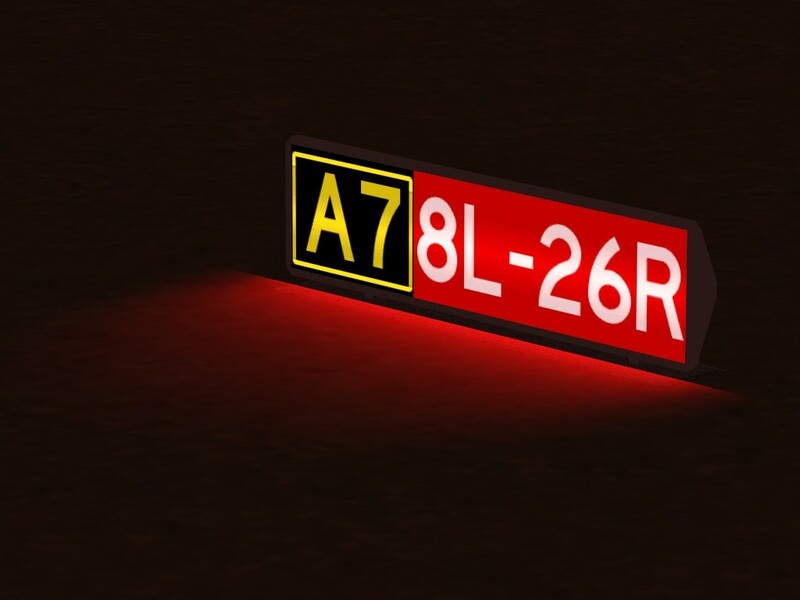 If you are using a replacement taxiway sign texture that you like, you can also continue using it with our product. TaxiSigns HD is fully compatible with both DirectX 9 and DirectX 10 modes of FSX, and also with FS9 and Prepar3D (versions 1.0-1.4). Get it now, and enjoy more realistic airports in Flight Simulator! 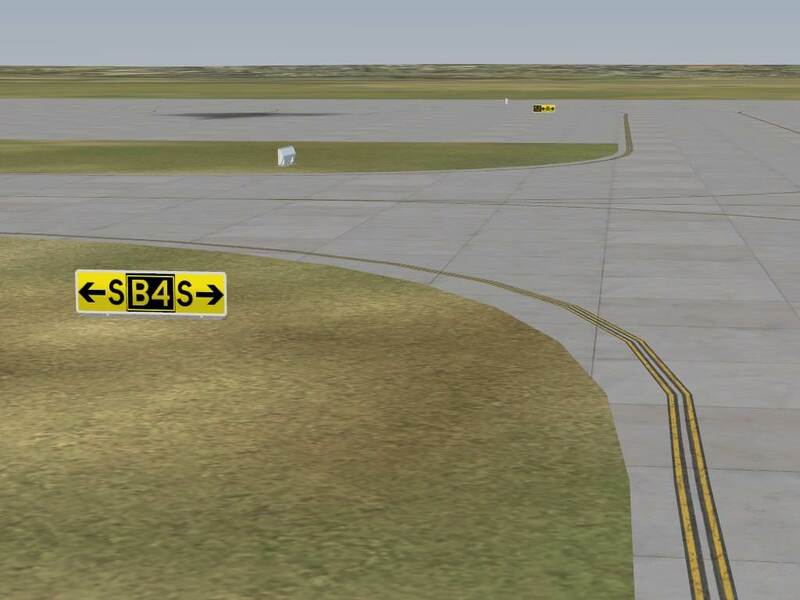 Note: TaxiSigns HD replaces stock taxiway signs. Some add-on airports come with custom designed signs. These will not be affected by TaxiSigns HD. 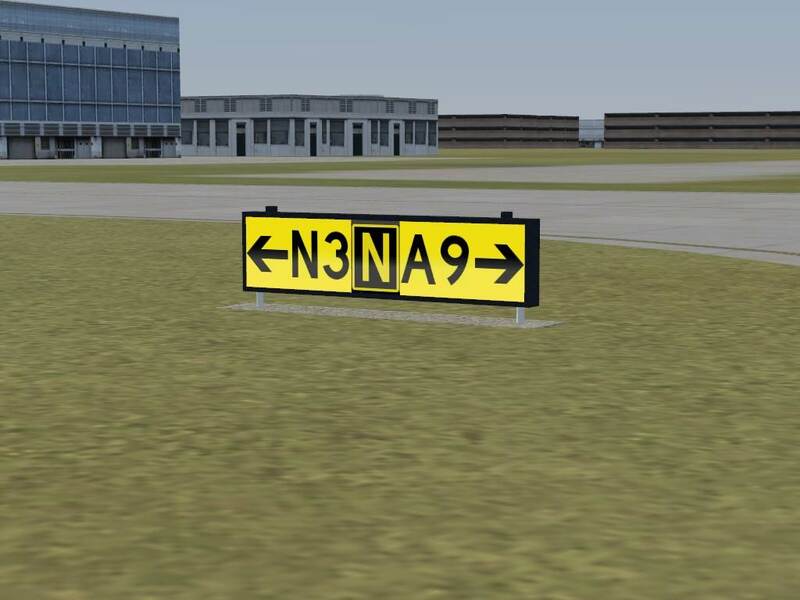 Great looking 3D taxiway signs instead of default "boxes". Crystal clear text thanks to new high resolution textures. Choice of several 3D taxiway sign models. Also choose among several high resolution textures for the text. Taxiway signs illuminate the ground in front of them at night. Improves all airports at once (except those with custom modeled signs). No need to scan all scenery files, and no need to convert every individual airport.